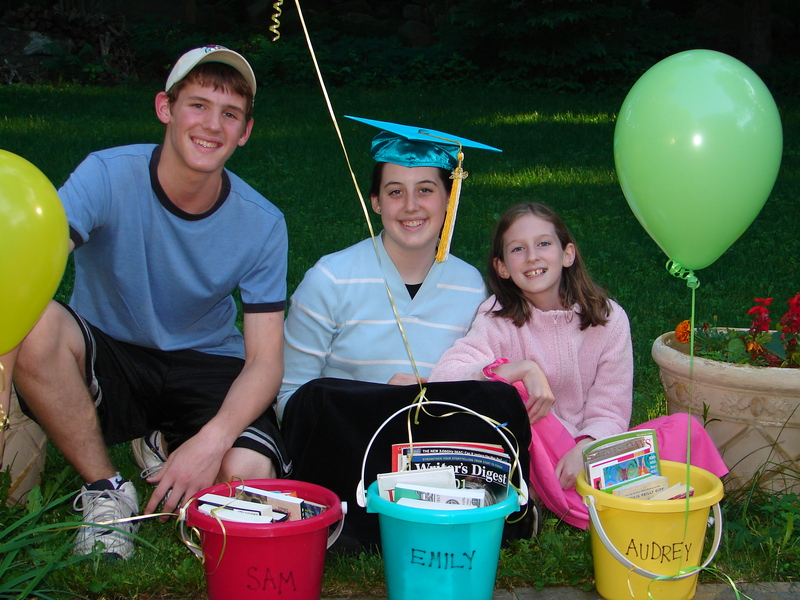 Sometime back when my kids were all in preschool/elementary school, I started the tradition of giving them each a book bucket on the last day of school. This was simply a beach bucket with their name on it. Tucked inside were paperbacks for summer reading. I also included: puzzle books, comics, magazines, stickers, journals, bookmarks, pens, stationery, and the summer reading club sheet from our library and B&N. 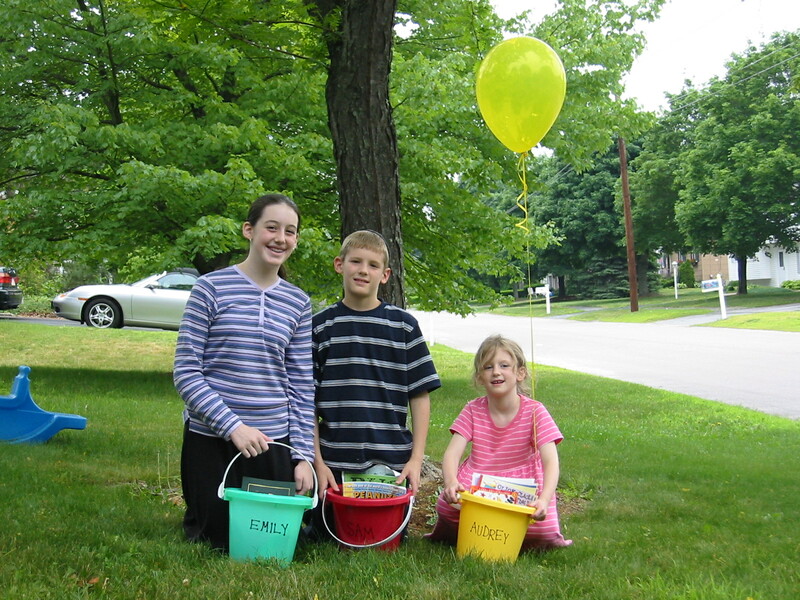 I tied a balloon to each bucket and then surprised the kids when they came home from school. With celebratory music playing in the background, I’d congratulate them on a successful school year. Then we’d ring in summer vacation. The kids loved this and it became a yearly ritual until graduation from high school. (Two down, one to go.) As the kids got older, I tailored the books to their interests. (This summer my daughter’s book bucket included a much coveted Hunger Games Movie guide.) Anticipation for the buckets began around June 1st. The kids loved comparing their book bucket photos from year-to-year. 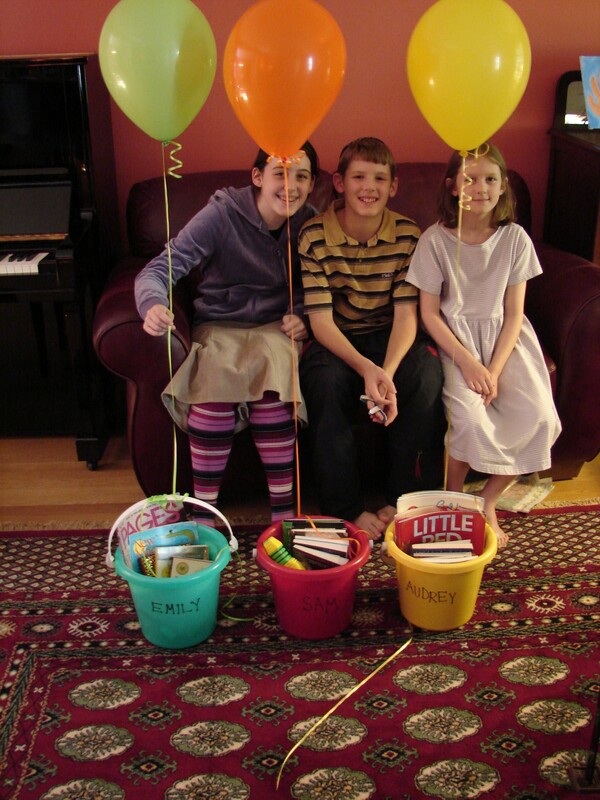 Thankfully, all three of my children enjoy books and creative writing. Recently, I had the unanticipated pleasure of bringing my first grandchild her book bucket of baby books. I hope her mom will continue the tradition. 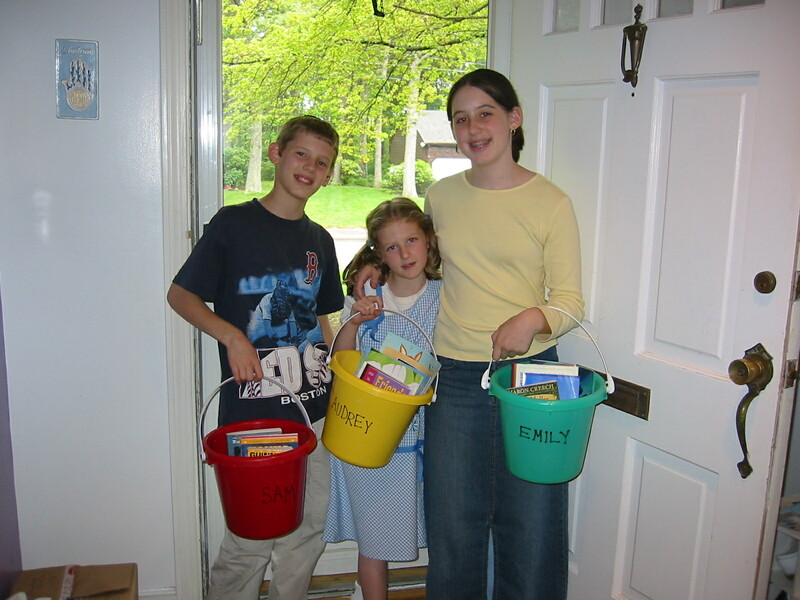 The book bucket idea came naturally to me as a reading teacher, book lover, writer, and later, homeschooling mom. But there is another reason: my love of summer. Of course, no matter what I do to try to make the summer stretch out or to slow down, it always seems to pass in a blip. I gave her a hug. Like me, she is definitely sad to see summer go. 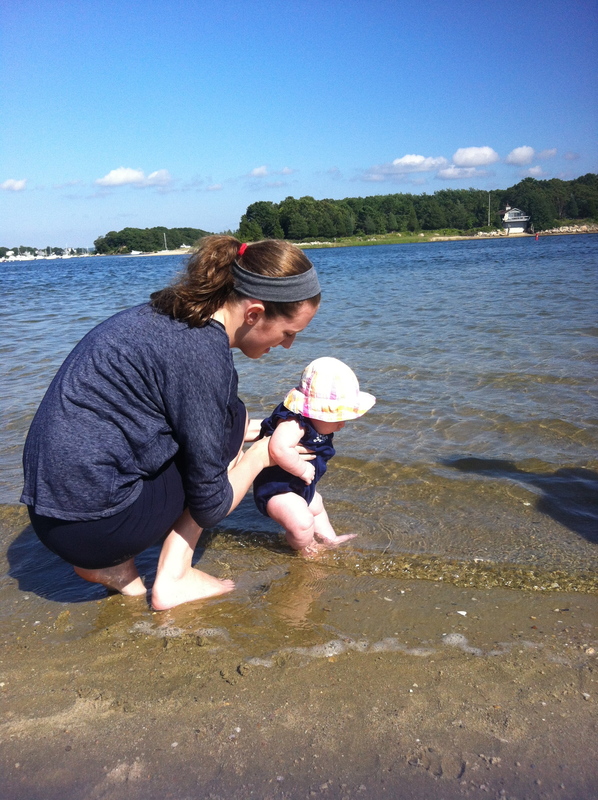 As I write this post on the last official weekend of the summer season, it occurred to me that maybe we need an End of Summer ritual–a way of letting go and embracing the fall. I’m not sure I could actually call it a “celebration”, like at the beginning of summer, but I need some way to envision the upcoming school year without getting stuck in a snow scene. So for starters, I decided to make a Looking Forward list that my daughter and I could write together, then display in our homeschool room. 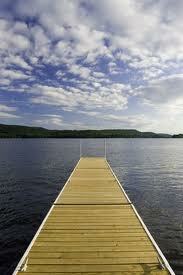 This list would include events, happenings, and trips that we are looking forward to in the fall, winter, and spring. We could add to the list as new items come our way. Everyone needs something to look forward to, right? So maybe the Looking Forward list, along with a final swim in our town lake, will become the ritual for celebrating summer’s swan song. Can I send you my monthly blog updates?